A few topics to help answer any questions or queries that might arise - We are here to help! HOW DO I PAY MY BALANCE or MAKE PARTIAL PAYMENTS? Please see ticket description on the booking pages. there is also a seating plan to refer to to help you make the right choice for you. Tickets we look to send out by secure post/courier a minimum of 7-10 days before the event/show but in many cases a lot sooner that this - but don't worry we will be in contact with you nearer the time to check your delivery address is still applicable and then an email will be sent to you when they are physically shipped! WHAT CAN I EXPECT IN MY TICKET PACK / WALLET? If you need accessible seats, most of the venues have the facilities to deal with any specific requirements you may have. Unfortunately Event Travel are not allocated "accessible" tickets. Most theatres, arenas and stadiums prefer to make bookings for accessible seats with you directly - they know their venue inside out, so they can make sure your seats are suitable and can answer any questions you might have. How To Make A Booking At the Venue. 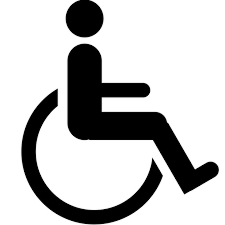 Please go to the Venue's website where they normally provide all relevant contact information.- In some cases Wheelchair users may be able to upgrade to a VIP Ticket Experience, once they have secured their "accessible seats" from the venue or Official Venue Box Office.